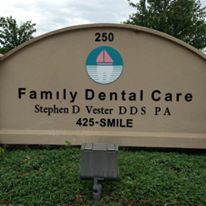 If you are looking for a great place to smile look no further than the office of Family Dental Care. Our use of the latest technology and advanced family, cosmetic, and restorative dental techniques can help you and your family maintain a lifetime of healthy smiles. Our office's warm, relaxing atmosphere and friendly, knowledgable team members will allow you to feel completely at ease. Please join us, we'll give you something to smile about.